I’m big into collagen-rich gummies at the moment. You’ve probably seen my Strawberry and Lime Jellies, Blackberry and Coconut Jellies, Raspberry Prosecco Jellies, Spooky Blackberry Halloween Bats and Spiced Carrot Jellies here on the KetoDiet Blog, well today i’m back with a special treat for Valentine’s Day. These Dark Chocolate Raspberry Jellies! Made with gut loving grass-fed gelatin and allergy friendly. They contain just natural fruit, no added sugars and sweeteners, but of course, if you like things a little sweeter you can add a keto friendly sweetener from the list like powdered Erythritol, Swerve or liquid stevia. 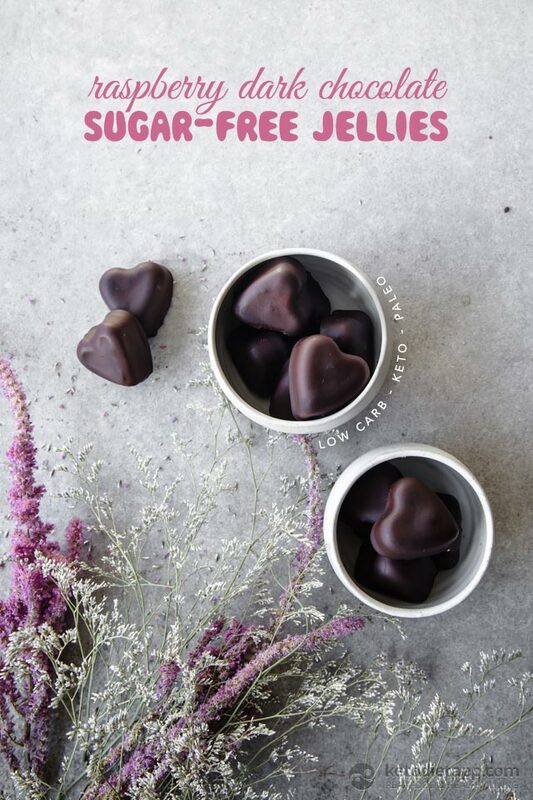 Feel free to use any silicone mould you like, they’re not just for Valentine’s Day or Mother&apos;s Day… but if you do make these sugar-free gummies for your loved one, I’m pretty sure you’ll get extra brownie points! 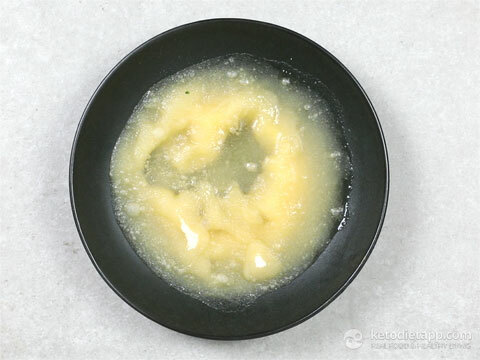 Place the gelatin in a bowl. Add the water and allow to bloom. 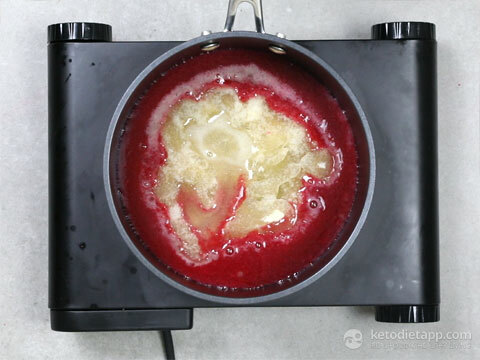 Blitz the raspberries in high speed blender until smooth. Place in a muslin cloth and squeeze out the juice. Discard the pith. Add about half of the raspberry juice to a pan. Heat on a medium setting and add the gelatin. Stir until melted. Remove from the heat and stir through the remaining juice. Skim off any froth if needed and pour into your silicone jelly moulds. Place in the fridge to set for 1-2 hours. 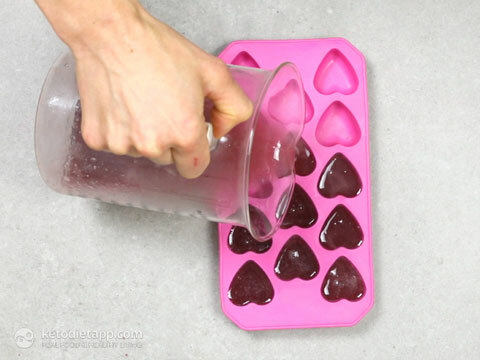 Once set, remove the jellies from the moulds. 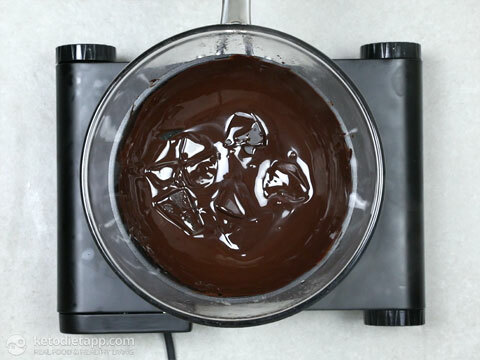 Meanwhile, melt the dark chocolate in a small bowl or glass jug on top of pan filled with a cup of water over a medium heat. When melted remove from the heat and let it cool down to room temperature before using as coating. To make the holder, chop the bottom off a turnip or another hard vegetable like a beetroot, cover in tin foil and place on a baking tray. 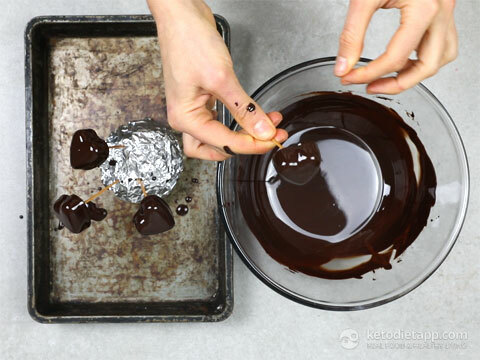 Insert a toothpick into each jelly (making sure not to skewer all the way through) and dip into the chocolate. It helps if you can freeze the jellies for 5-10 minutes to help the chocolate coating set faster. Shake off any excess and skewer into your ‘turnip’ to allow to dry. 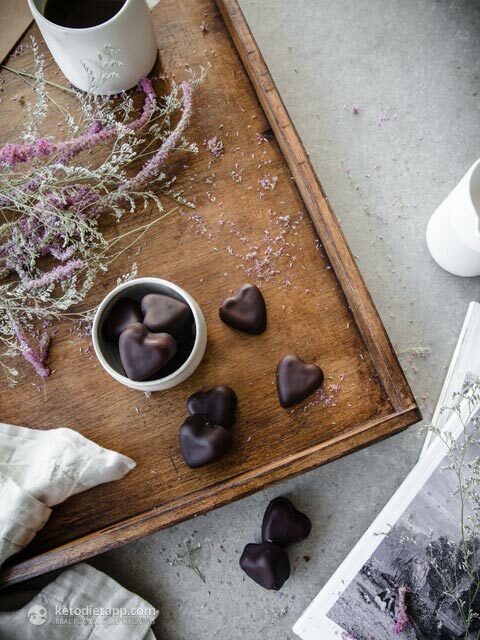 Repeat until all the jellies have been dipped in chocolate. Allow to reach room temperature then place in the fridge to set for about 15-30 minutes. Store in room temperature or in a fridge for up to 5 days. Hi Adi, that is interesting because I checked on several testing devices and it seems to be fine. Software is so unpredictable! 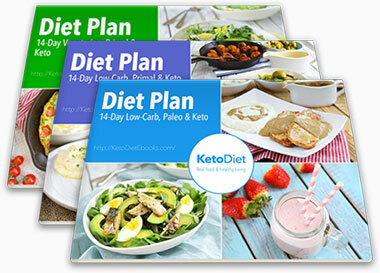  I can see the option to add in both the KetoDiet Blog section and the Custom Meals > KetoDiet blog section. Could you please send me an email with a screenshot? Thank you! 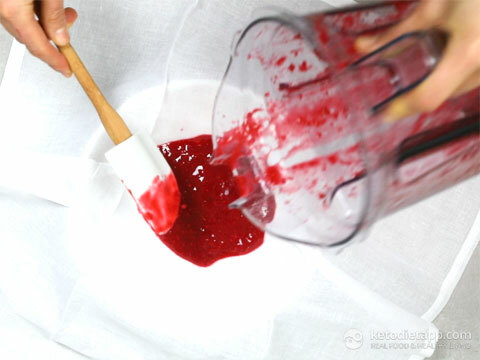 It would be helpful to know how much liquid you are extracting from the raspberries. I used frozen raspberries and was wondering if fresh would have produced more juice. I got about 1/2C. I made a batch as written, tasted the set gelatin and decided I wanted a bit more raspberry kick. So I cut up fresh raspberries into 1/4s. 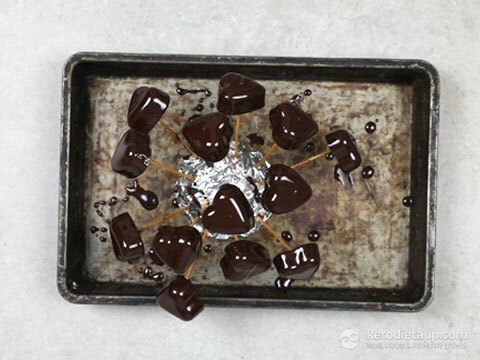 Stuck toothpick through a raspberry piece, then into the gelatin, then coated with 85% chocolate, and stood half the jellies as described like a hedgehog. The other half I stood on a piece of non stick parchment covered in toasted coconut. For future batches, a 1/4 Raspberry right in the jelly might be a tidier option. Should say I made these in silicone ice cube trays and cut in half before coating. So got 40 out of the batch. What a great idea! Next time I will definitely add whole raspberries into the gelatin before it sets! Any secret to getting the jellies out of the molds without having to take a knife to release them? After dipping in chocolate I did both the toothpick and sitting them on a wire rack. When removing them from the wire rack the chocolate covering on the bottoms came off. Toothpick method is the best. Had not thought of freezing the jellies. The chocolate would have set faster for sure. I think it's best to use a silicon mold - you can then easily invert them without having to use a knife. Or you could remove them with a toothpick. I'll add a few tips in the recipe - thank you for your feedback! 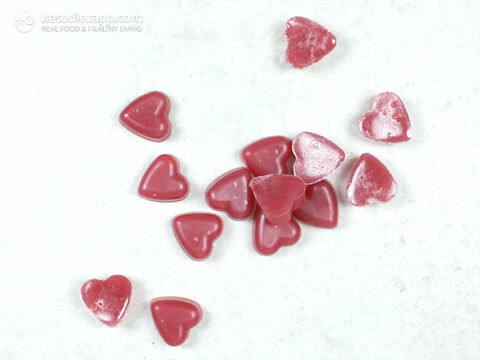 Could you add rose essence to the raspberry mix to make it similar to a Turkish Delight ? Oh I'm sorry to hear that! It seems that the chocolate was still too warm. It's best if you can bring it to room temperature - just before it starts to solidify. Also, make sure the jellies are completely chilled. Placing them in the freezer for 5-10 minutes before coating will help too. 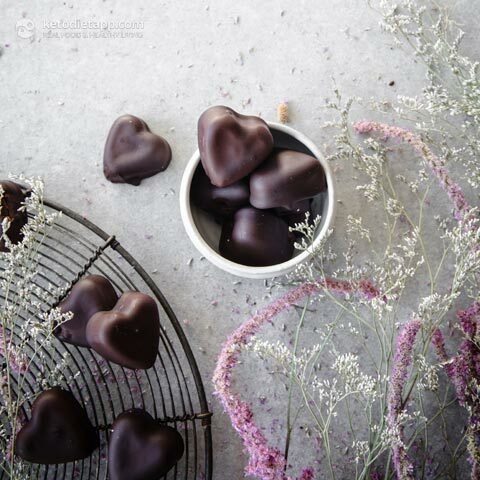 Looks so delicious and perfect for Valentine's day! Is there something other than muslin I can use to squeeze out the berry juice? I don't have any muslin. Do you think several layers of paper towel might work? A nut milk bag or a fine mesh sieve would be best. I think a paper towel will tear so I'd avoid it. 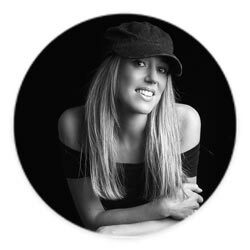 Hey Jo, I really enjoy your recipes, thank you for sharing! I just wanted to say that I think your trick of using a hard vegetable and toothpicks to dry the chocolates is really clever. Just got you ur newest cookbook from Amazing today. I can’t wait to browse it and get cooking. Thank you SO much Cindy, I hope you like it! What do you mean by “allow to bloom”? It means that you should leave the gelatin soak in all the water. I hope this helps! Hi Karen, I will add a link to the ingredients - it is also known as "gelatin powder". I hope this helps!